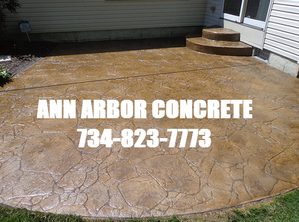 ​​Ann Arbor Concrete offers the highest quality of concrete in Ann Arbor. We take pride in our customer’s satisfaction and deliver the best concrete in the Washtenaw County area. With an expert team of concrete specialists we can perform any concrete work you may have. With a fast and reliable quote to competitive prices we can handle big or small projects in a timely matter. From residential to commercial projects Ann Arbor Concrete can deliver the best quality concrete for your dollar. We do concrete replacement, concrete repair, patios, curbs, sidewalks concrete driveways, walkways, concrete pads, pool decks, retaining walls, stamped concrete, acid stained concrete and more. 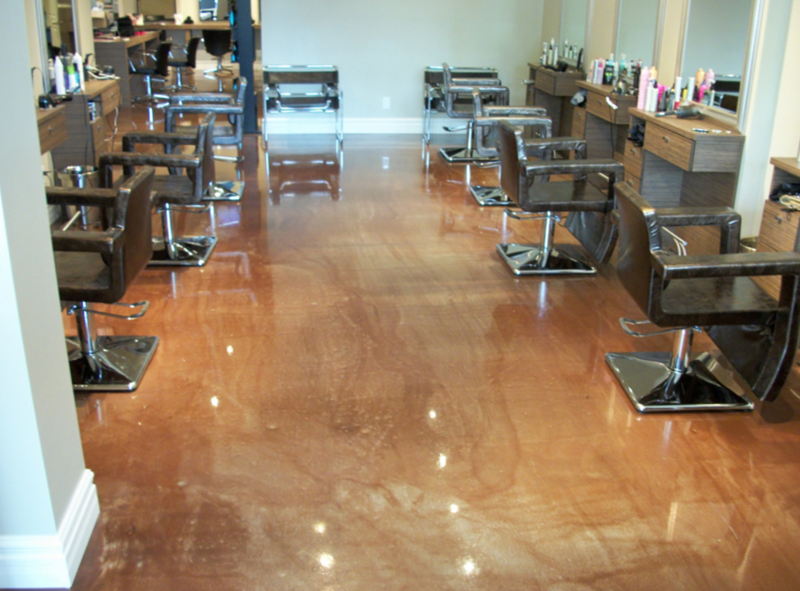 With all our services we also offer textured concrete, colored concrete, stamped concrete as well as sealing, staining and refinishing. For all your concrete needs in Ann Arbor Michigan call now for a free quote and talk to a professional representative to assist you in any questions or concerns you may have about an estimate on a concrete project. Are you tired of tracking in dirt from the driveway to the garage then into your house? Are you tired of resurfacing your blacktop every year and filling holes and cracks? Jealous of your neighbors nice clean solid concrete driveway curb appeal. If so why not put a acid stained concrete driveway in? Money will spent as your kids will love riding bikes and playing basketball in the driveway. Oyea don't forget the sidewalk chalk too, as your grand-kids come over to doodle in the summertime. Enjoy long lasting concrete for years to come with as you can count on the satisfaction for years. Another huge plus to an acid stained concrete driveway is in the nasty cold winter storms how much easier on the shoveling and snow blowers and plow trucks, then the gravel rocky mess being flung all over the yard. 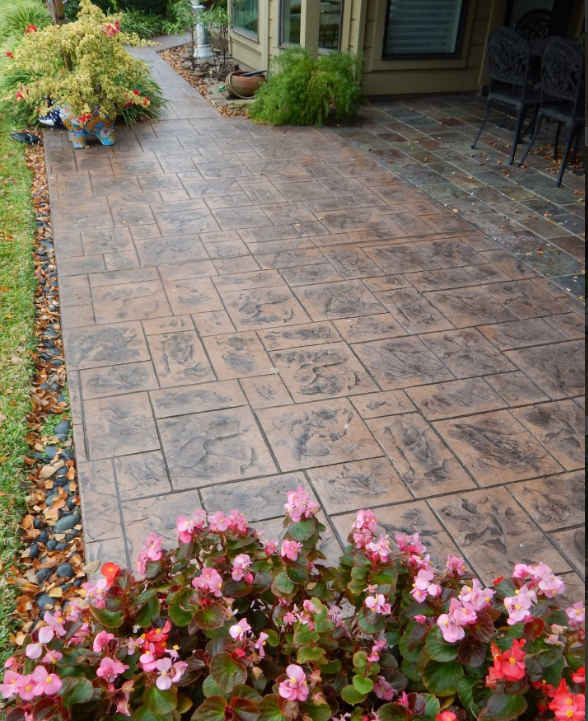 Do yourself and your home a favor and splurge on that new sidewalk and driveway, you deserve it! Clear out some backyard by first calling your local tree professionals and plan on adding a new patio around the backyard grill call us today for a free estimate on stamped concrete or a acid stained patio that will for sure make your next outdoor grill party the talk of the town. Ann Arbor Concrete has the design team to help visualize a perfect blueprint of what your backyard pool deck could look like. Oh you decided to build that pole barn you always wanted, guess what you should for sure be calling on us to pour your floors and approach. We can also fix your concrete after any sewer or drain work has been done and get you back in business. You just got approved to build that new dream home and looking for concrete contractors, look no farther the Ann Arbor Concrete to deliver the poured concrete foundation walls. When it comes to concrete and the many possibilities turn to the professionals at Ann Arbor Concrete for the #1 concrete company around. We have a solid business and let us prove that we can deliver all your concrete needs. We can handle any job, from the small steps to the large warehouse. With a large array of equipment and the highly skilled tradesmen there is no concrete job left untouched. We can supply stamped to the textured to the stained color of your choice. With the click of the phone number on your smartphone to the email contact form on our site you will be one step closer to getting the most affordable costly effective estimate for the concrete service needed. Let us do the dirty work and you sit back and enjoy the concrete for years to come. 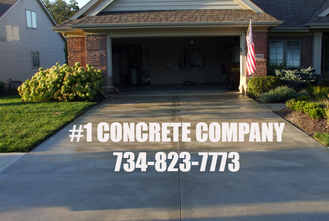 Concrete service in Jackson County Michigan please visit Jackson Concrete. For concrete contractor in Lansing, Michigan please contact Lansing Concrete.